Rather than selling the product we should sell the experience or the behaviour it generates from people, when they hear a particular news or connect with a specific special day. Writing topical posts is surely a good way to drive social media engagement. This is one of the most looked over thing when brands create content for social mdia. There is no harm in tagging celebrities or other relevant pages and handles to boost your reach. We are almost certain that the facebook newsfeed algorithm definitely takes tagging as a variable when it comes to ranking content for visibility. If you can tag genuine users or your top engaged customers in some posts, that too will boost the visibility. In case you do not know about the vicious circle of engagement, allow us to tell you! The more the engagement a post gets the more it pushes the algorithm to boost the organic reach. And since the reach gets boosted by engagement, it in turn gets more engagement. Hence like we say : The more the reach, the more the engagement and so on. Since Engagement is the king and all brands try their best to make people share and comment on the content, a very good idea is to ask people questions creatively so that they are compelled to give answers. Timing is everything. Don’t post too frequently or too randomly. Create a content plan and after some hit and trials see how many posts a week workout well for you. We suggest 3-5 top quality posts a week for brands. For content websites 2-3 posts a day is more than enough. Also please check the time when majority of your page followers are online and post half an hour before that. 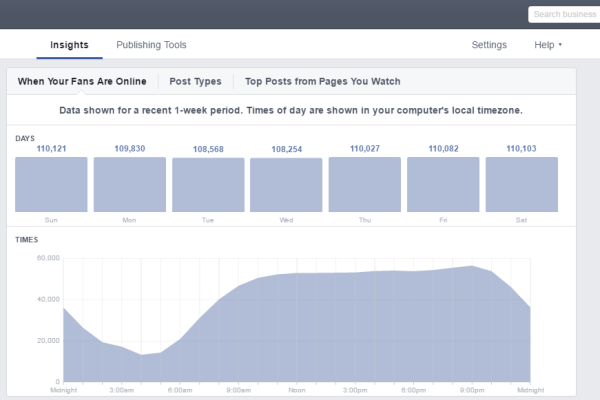 This will give Facebook some time to distribute reach for your content when majority of your page followers are online. To do this you can simply visit insights/analytics on your channel and go to the users section to get these details. Remember, every page has its own rythm so it will take some time for you to figure our what works the best. Hence it is very important to keep the above mentioned tips in mind while writing content so that they bring out the best social media engagement as results. The above examples are posts which have been designed by WeBeeSocial for our clients and as you can see their engagement is good. Do checkout : Instagram posts will now mention ‘paid partnership with’, in branded content from influencers!